The Algoma Spirit was the first vessel to arrive in port this season with a load of iron ore from Two Harbors, Minnesota. 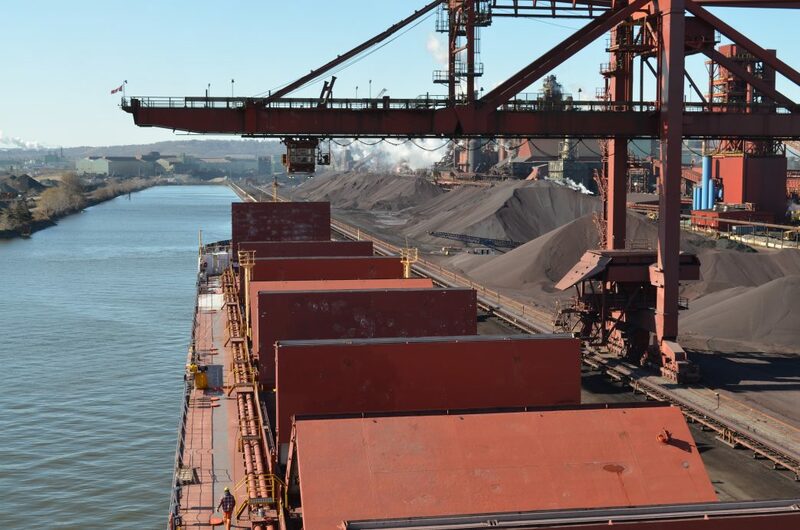 The vessel arrived early in the morning of Saturday, March 23 and made its way to the ArcelorMittal Dofasco ore dock at Pier 21. 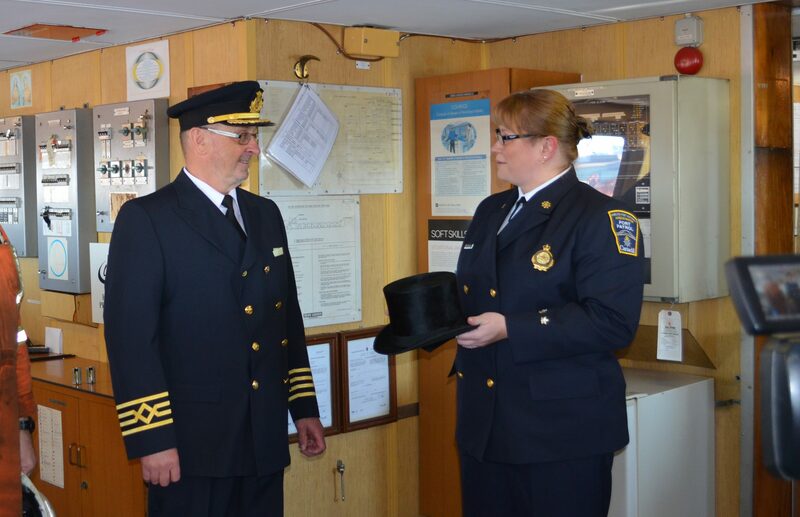 According to port tradition, the Captain of the vessel, Captain John Croucher was presented with the ceremonial top hat by Hamilton Port Authority’s Harbour Master, Vicki Gruber. 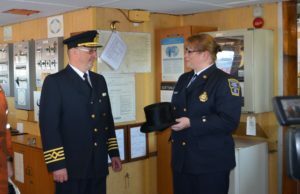 Officials from ArcelorMittal Dofasco and Algoma Central Corporation were on-hand to welcome the ship and celebrate the start of the 2019 shipping season.